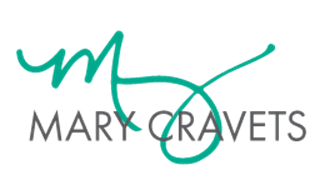 Please welcome Adam Cravets as my guest blogger. Are you a champion at limiting yourself? What’s your threshold? Which of the above excuses are crap? Which ones are real excuses? I suggest that the only ones that are real are…NONE OF THEM. There are people with 2 jobs who also volunteer at their favorite charity, hang out with friends, help someone in need and get to the gym every day. There are people with newborn twins growing their business and spending quality time with friends and reading a novel. There are people raised in abject poverty who run up tens of thousands of dollars in loans to put themselves through college then start businesses or get jobs that make them rich and able to pay off their loans. Time is not the issue. Money is not the issue. The issue is the simple act of doing. What are you willing to do? How often are you too busy to complete your to-do list but somehow spent 2 hours that day on Facebook? Is there a self help book sitting on your night stand unread because you are too busy watching a movie every night? Is there a money opportunity that requires investment but you are too scared to make the investment in yourself or your future? Your subconscious is phenomenal at keeping you exactly where you are. It takes active effort to break out of your inertia (read “comfort zone”) and move forward towards all that you want. My advice? Go fourth and DO! P.S. 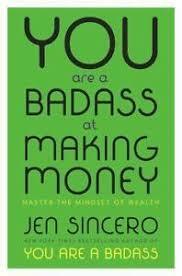 I was inspired to write this post by Jen Sincero’s amazing book “You are a Badass at Making Money”. You can get it too by clicking on the book image – I think you’ll love it and it may just change your mindset! P.P.S. That link is an affiliate link which means there’s a small commission if you purchase the book, but the great news is that this won’t cost you a single cent more. 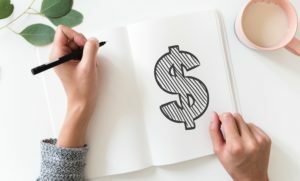 See what a Badass at Making Money you are already? Don’t make an excuse…get the book!